Toward the end of the work week I had been thinking of only two things: sleeping in on Saturday to get my sleep for the year, and possibly visiting McGinnis Slough for birds on Sunday. 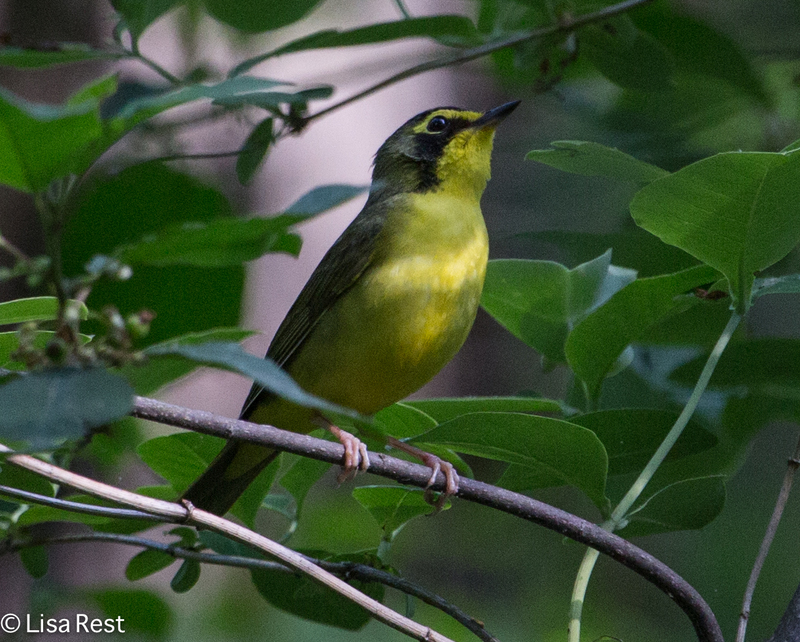 As luck would have it, tales of a Kentucky Warbler and a Cerulean Warbler emerged on the IBET (Illinois Birders Exchanging Thoughts) list-serve toward the end of the week, and with the birds being seen at Swallow Cliff Woods, which is just up the street from McGinnis Slough, I decided to try for these two warblers that are unusual in this area. 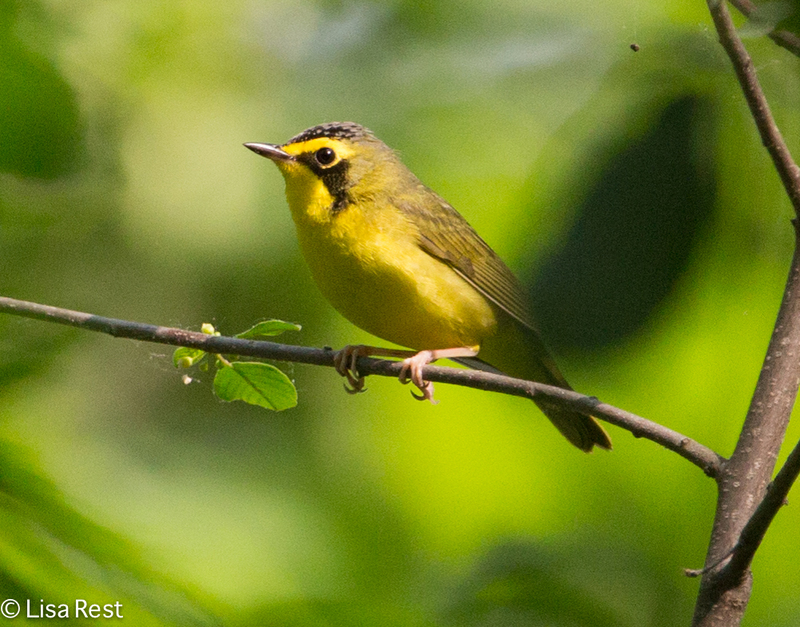 Warbler migration is pretty much over with anyway, so the chance to see these two special birds was irresistible. 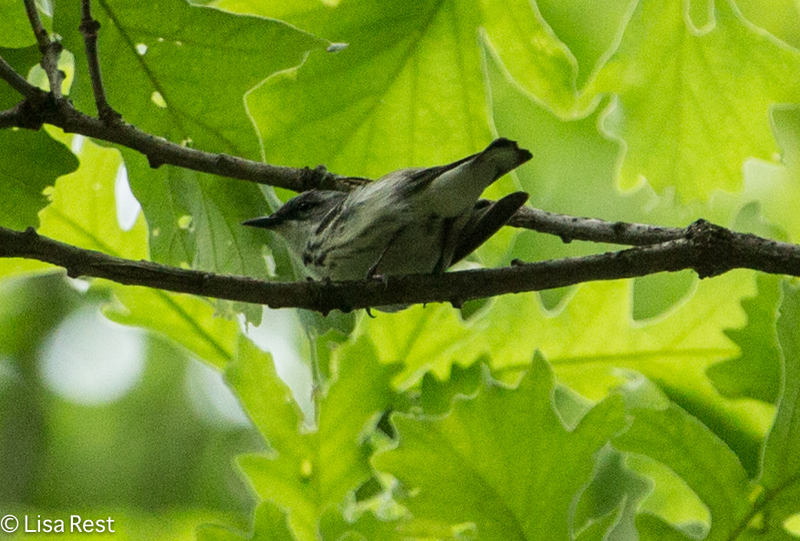 https://musicbirdblog.files.wordpress.com/2014/06/cerulean-warbler-6-1-14-r05_0016.mp3Thanks to birders already on the scene I had no problem finding the two birds, and several mosquito bites later, I had pictures and recordings of their songs as well. The Cerulean was harder to photograph even when it dropped down to less than neck-breaking level, because the backlighting made it impossible to capture his delicate blueness. 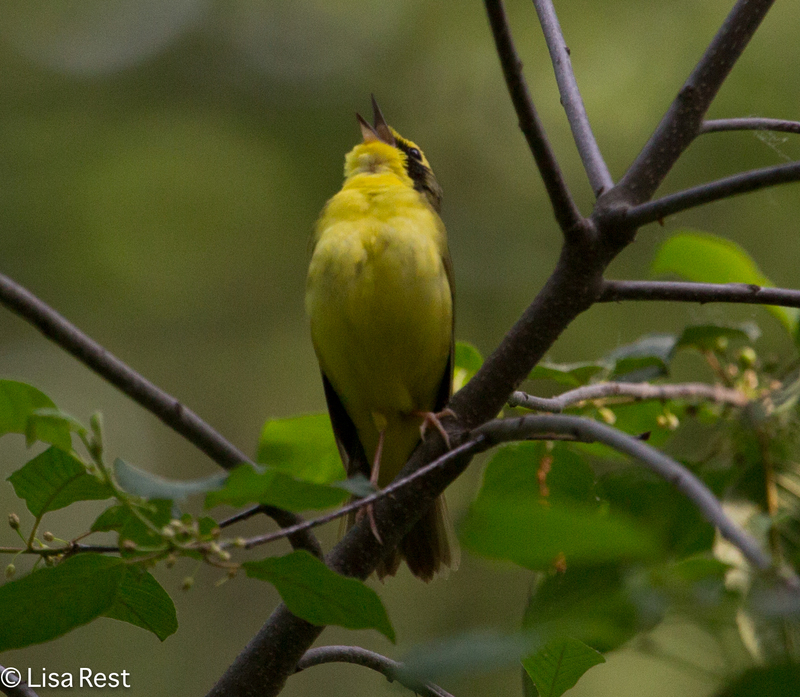 Thanks to all the good-natured, generous birder souls who helped me get on these birds. By the time I got to McGinnis Slough it was getting hot. 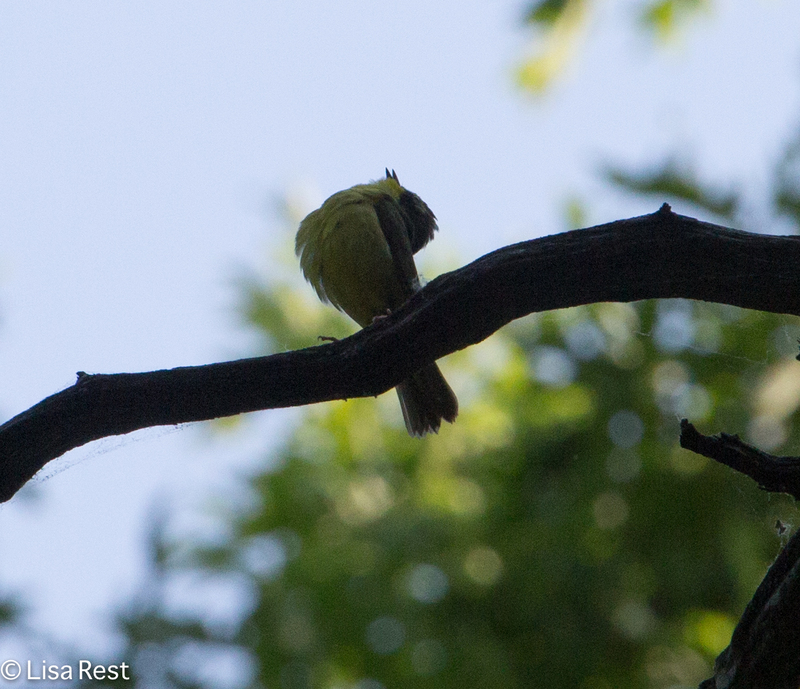 I didn’t know what to expect this time of year, overlapping passerine migration and the presence of breeding birds. 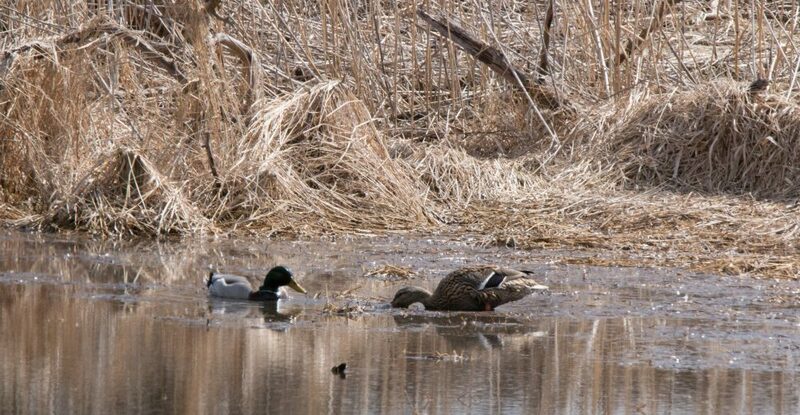 I didn’t have a scope with me, but there did not appear to be much action in the water anyway. 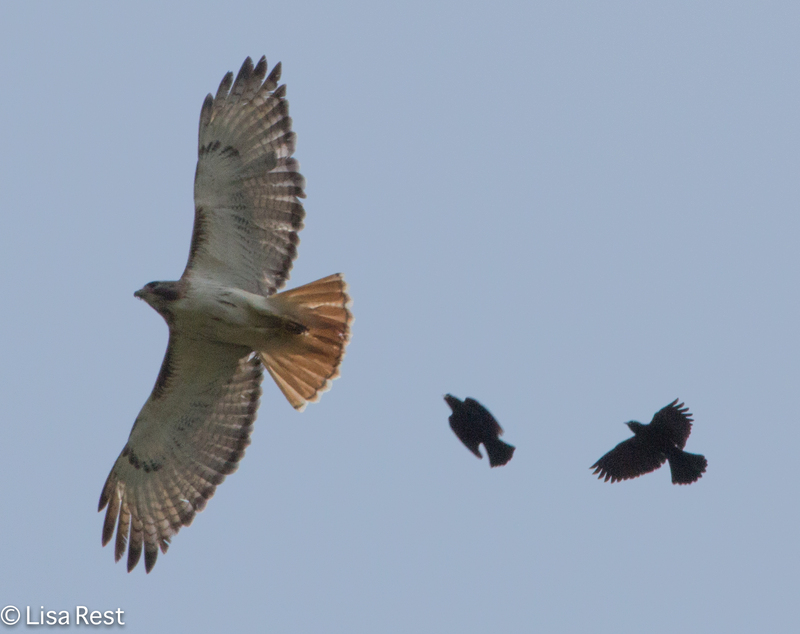 The main action occurred overhead with Red-Winged Blackbirds chasing Red-Tailed Hawks. 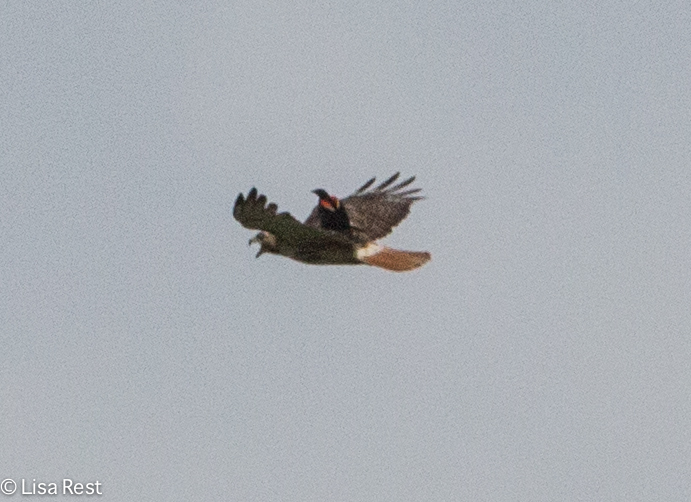 I managed to get a few pictures of one Red-Winged Blackbird catching a ride on the raptor. 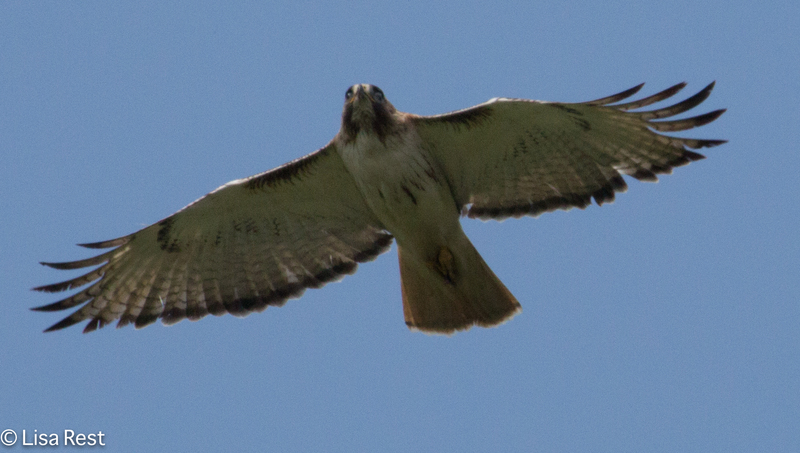 Have to wonder how that feels, to be a small bird riding on a predator of all things. 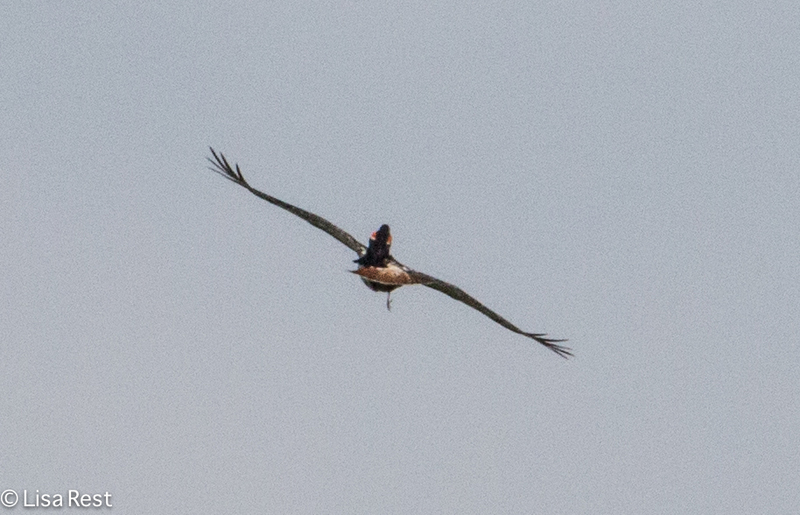 The Red-Tail was not happy about it. Click on the pictures to see larger images. Shortly after the Red-Tailed Hawk/Red-Winged Blackbird saga, I ran into a friendly couple, Julie and Jim, and their new shelter puppy Annabelle whose mother was a Border Collie and the father was undetermined (but probably safe to assume it was not the mailman) – she’s a very pretty dog – and we had a very nice visit. I hope to encounter Julie and Jim again, and welcome them to my blog. There is definitely a magical quality to McGinnis and the nicest surprises happen when I least expect them. 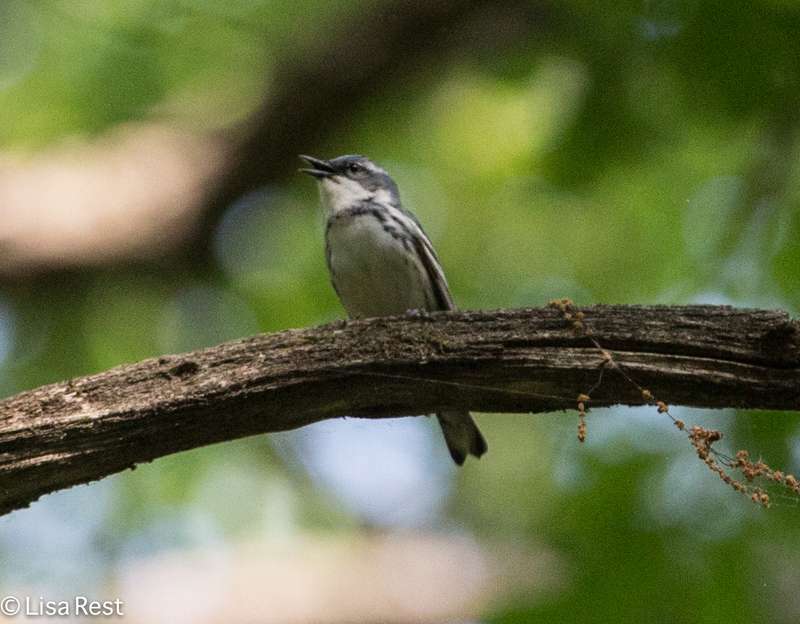 There were other species besides these two at McGinnis but most were either distant or heard only. As the mid-day heat approached and weekend chores beckoned, I took a few shots at a Red-Winged Blackbird guarding his territory and headed back home. In the next few days and weeks I hope to get caught up with all the travel pictures for inspiration. But for now I will sing the Sunday-evening-gotta-go-to-work-tomorrow blues, succumb to general exhaustion and get ready for bed. 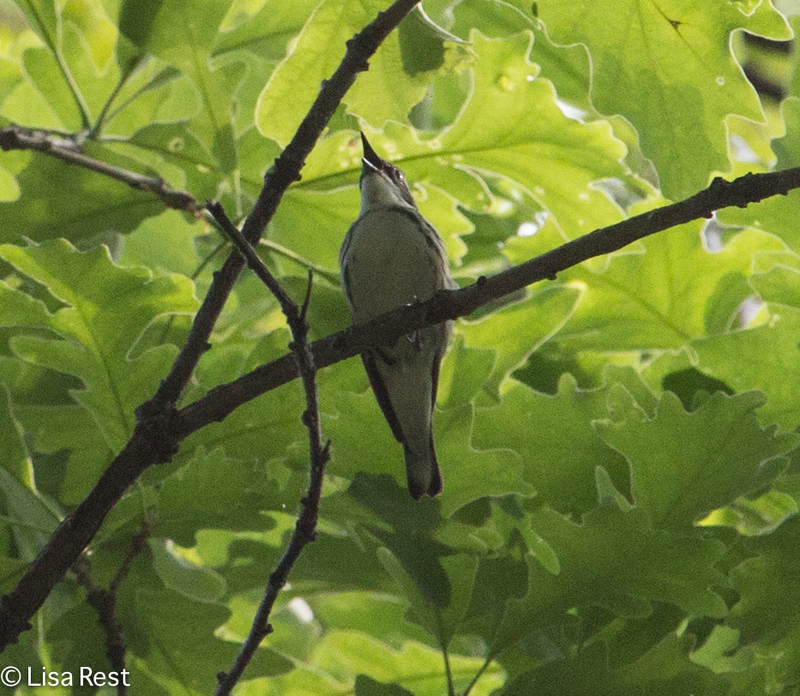 This entry was posted in birds, birds and music, photography, raptors, Warblers and tagged breeding birds, Cerulean Warbler, Cook County Forest Preserves, Kentucky Warbler, McGinnis Slough, Palos, Red-Tailed Hawk, Red-Winged Blackbird, spring migration, Swallow Cliff Woods by Lisa Rest. Bookmark the permalink. 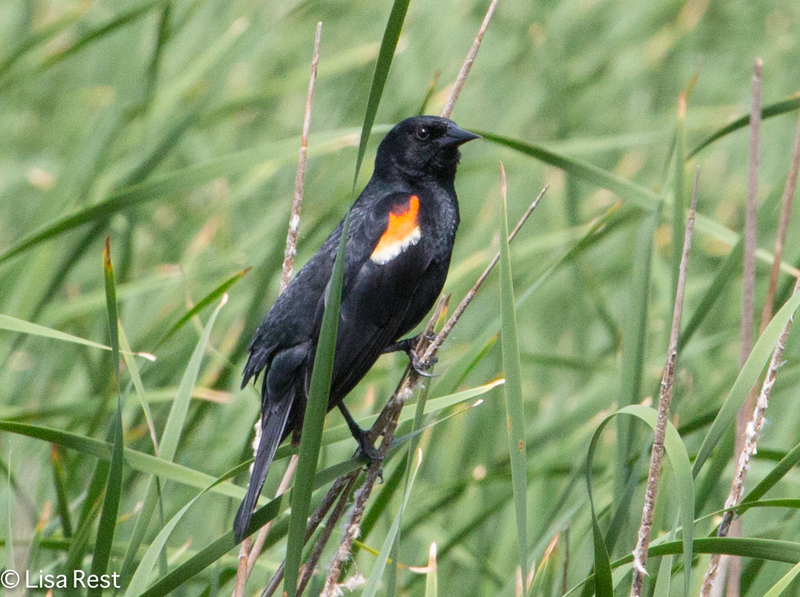 I to enjoyed the tale of the riding Red-winged Blackbird. I can relate to your guilt about the blogging thing. I have been been neglectful, too, about commenting on others blogs. I just get busy and get behind. Blame the bloggers. Everyone posts too many pictures (including me). We should be more selective and give the readers a break.